The State of Rhode Island and Providence Plantations, colloquially known as Rhode Island, is a state in the New England region of the United States. 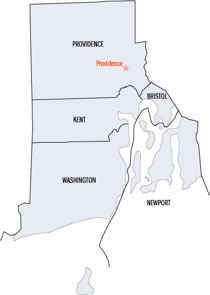 The smallest state of the union, Rhode Island, also has the longest official name of any of the states: "State of Rhode Island and Providence Plantations". The state is one of the most densely populated and heavily industrialized for its size. For a state that is only 37 miles wide and 48 miles long, it is notable that its shoreline on Narragansett Bay in the Atlantic Ocean runs for 400 miles. Indeed, one of Rhode Island's nicknames is "the Ocean State." This is a list of the five counties in the US state of Rhode Island. Rhode Island is tied with Hawaii for having the second-lowest number of counties of any US state (only Delaware has fewer, with three counties). Although Rhode Island is divided into counties, it does not have any local government at the county level. Instead, local governance is provided by the eight cities and thirty-one towns.] Counties in Rhode Island have had no governmental functions since 1846 other than as court administrative and sheriff corrections boundaries which are part of state government. 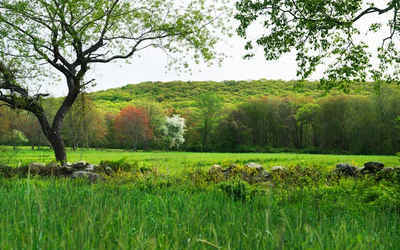 Within Rhode Island, Washington County is colloquially referred to as South County. 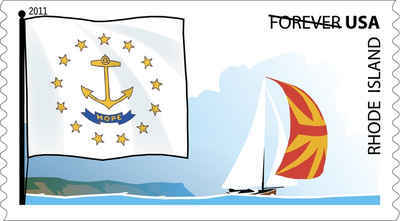 The colony of Rhode Island was established in the 17th century, and was the first of the thirteen original American colonies to declare independence from British rule in 1776, signaling the start of the American Revolution. The counties were all established before the Declaration of Independence. 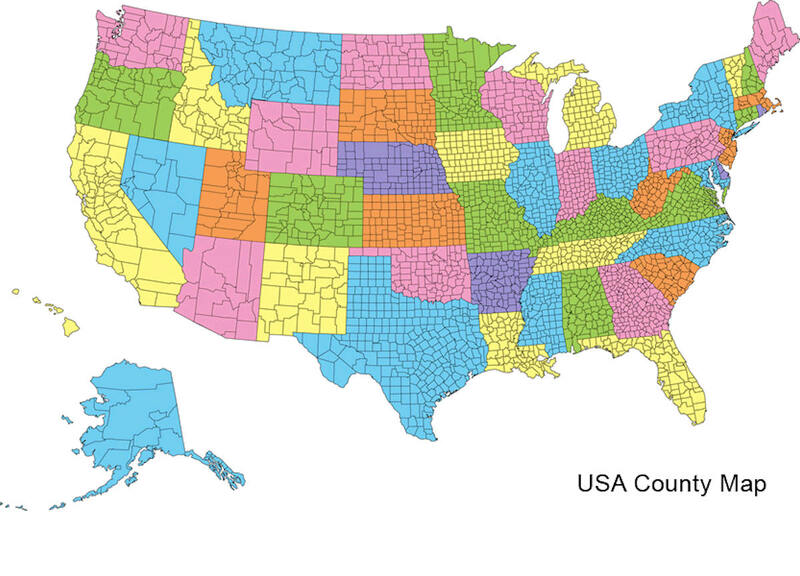 Counties do not have any form of county government.